+1 If you already told me your birthdate in a previous post (I have recorded all birthdates), and your birthdate falls within the Start and Finish of this contest! You will not get an entry if your birthday falls between these dates if you did not post your bithdate into a previous post. Deadline August 25th @ 11:59pm Est. I enjoyed your review of this book, and your blog in general (my first, but definately not my last) time here. 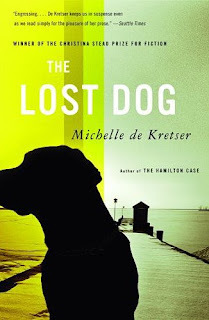 I'd so love to read The Lost Dog...please add my name to your giveaway list. Thank you! I posted a link to this contest on my sidebar. Count me in please! I'm already following you! I'd love to win this book - please count me in! Would love to enter...avid dog lover. I've heard a lot about The Lost Dog and would love to win a copy of my own. I am an existing follower of your blog. Looks like a good read. Thanks for the chance to win! I'd love to read this one -- thanks for the chance to win a copy! Please enter me in the contest, too. I would love to read this book...please enter me. I'm also a follower on Blogger. I posted this giveaway on my blog here! Please enter me in this giveaway; i am a follower. Looks like a great, interesting read... Please accept this as my entry for this contest. Thank you! Cool! Australia and dogs. Should be an interesting book! I would love to read this! Please enter me! I am a follower. VickiJ957 and I also Twitted it! I tweeted! 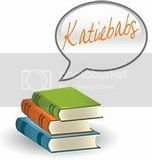 http://twitter.com/nataliew2/status/3499843457 - i think i'm following you on twitter but when i tried to locate you, it said page doesn't exist. I think Twitters having problems.